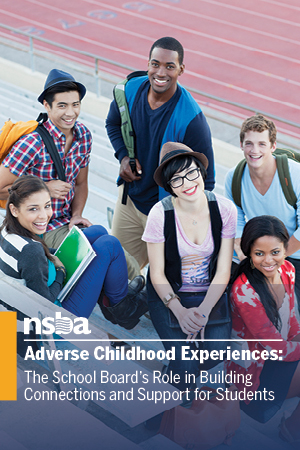 The NSBA Center for Safe Schools provides district leaders, students, parents and the community information and content resources on the myriad of issues that impact school safety. Whole Child – provide information that address a child’s physical, mental, emotional, and overall wellbeing for success in academics, life and career. Physical Infrastructure – provide information regarding target hardening and mitigation of buildings and facilities against attacks and other potential threats (cameras, doors, classroom design, playgrounds, etc.). Environmental Factors – provide information related to home, community and school that influence access and opportunities which may impact a child’s safety (early-childhood education, nutrition, pollution, drug and alcohol abuse, and mental illness). Cyber Health – provide information that promote positive engagement of students, families and community in the cyber domain (bullying, sexting, trafficking, and other predatory practices within the online community). Crisis and Emergency Management – provide information that identifies essential policies and procedures for prevention and management of critical events and emergencies.